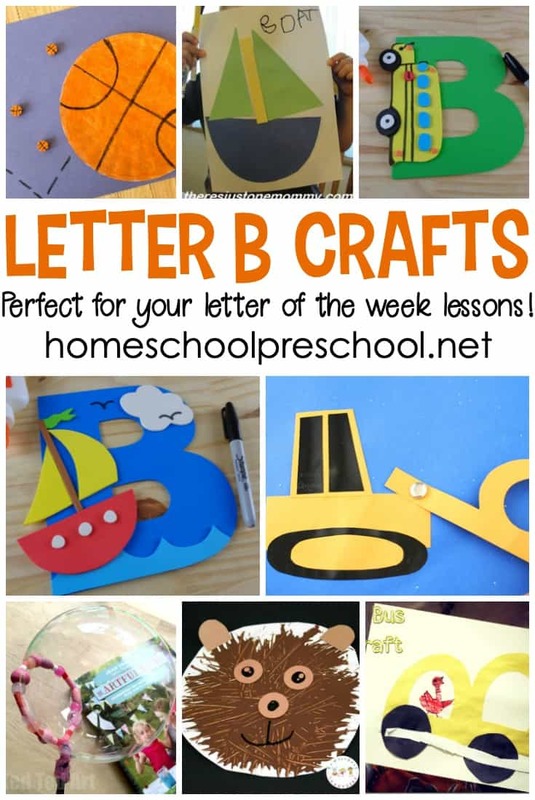 Don’t miss this amazing collection of crafts to teach Letter B featuring 20 different “Bb” words! 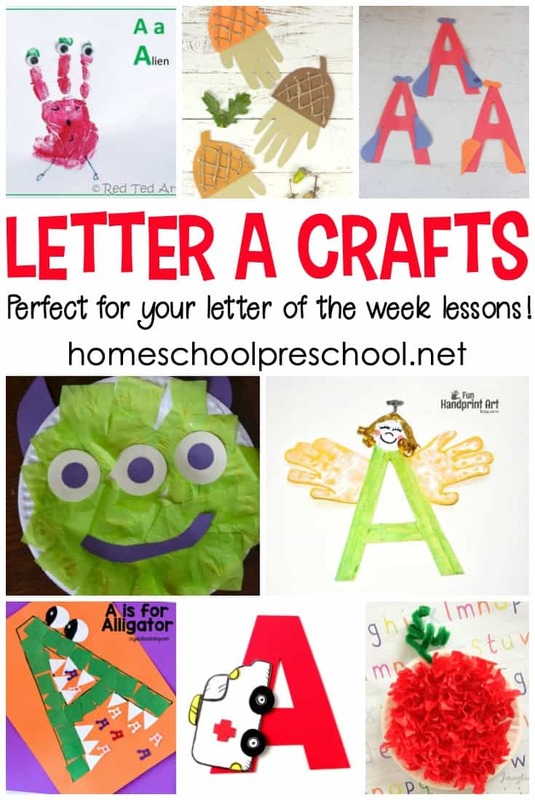 They’re perfect for your Letter of the Week plans! 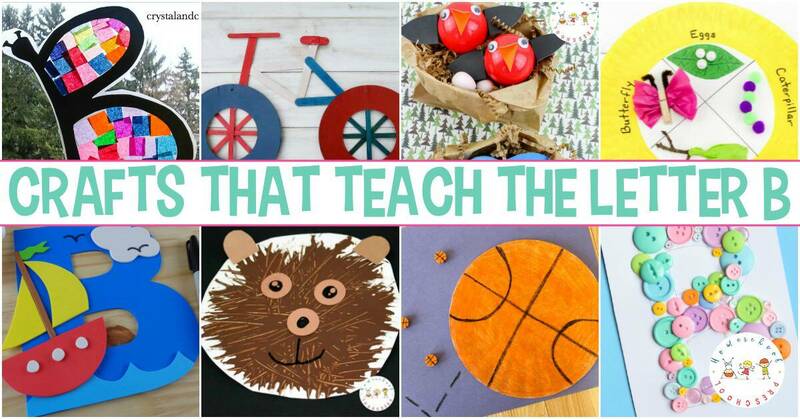 This collection of preschool crafts is so much fun! 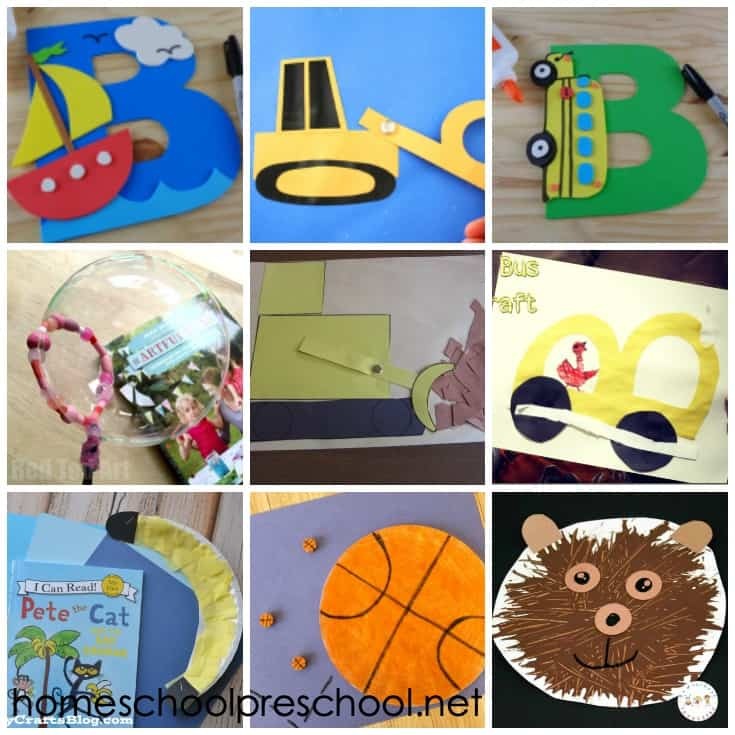 There are more than 30 crafts to go with 20 different “b is for…” themes. Many of them incorporate the letter into the craft itself. 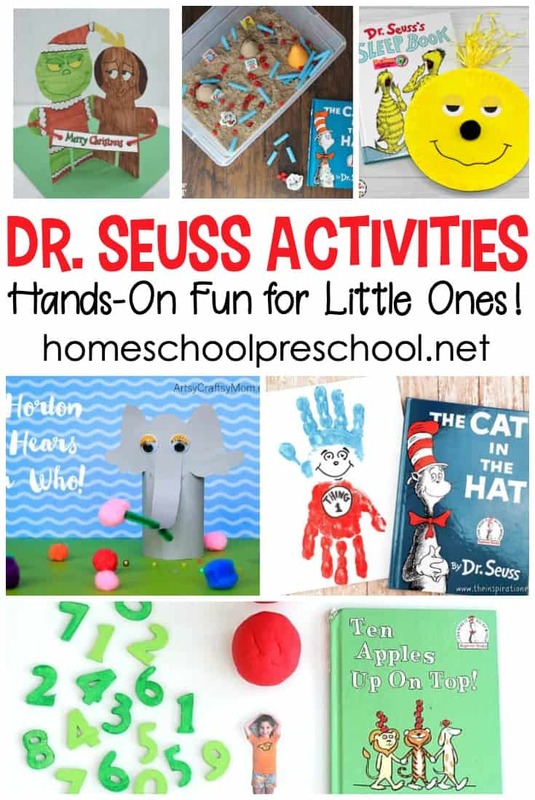 Your preschoolers will have so much fun creating paper plate bananas and bears, painting with bubbles, cardboard tube bats, and so much more! If you don’t teach with the Letter of the Week method, that’s okay. 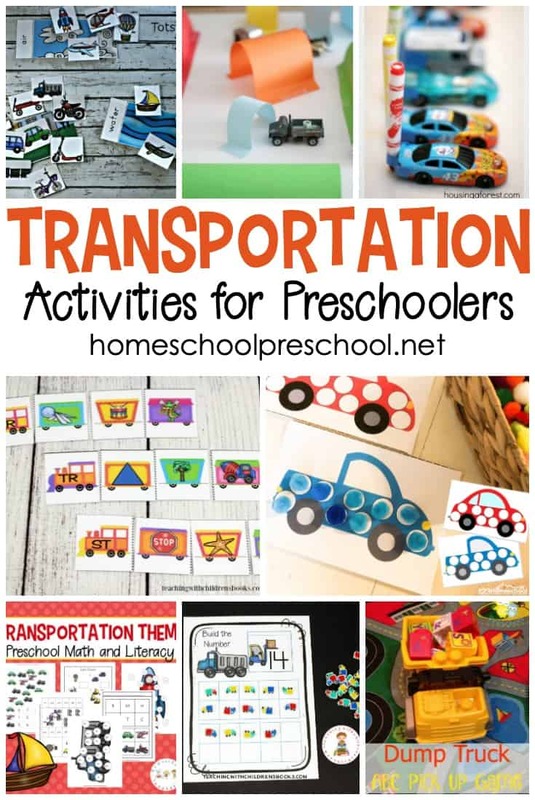 These crafts go well with your units on bears, construction (bulldozer), spring (butterfly and bird), and sports (basketball, baseball, and ballerina). I love how this butterfly sun catcher craft looks hanging in the window, and I bet your kids will, too. Grab your button collection, and teach your kids that B is for Button with this simple craft. What Can We Do with Paper and Glue? With a few simple paper shapes, your kids can make this Jackie Robinson craft to go along with your B is for Baseball lessons. What Can We Do with Paper and Glue? With spring coming up and flowers about to bloom, it’s the perfect time to learn all about butterflies. Some of these butterfly books teach about the life cycle. Fly on over and check out these adorable crafts featuring bees for kids. They’re perfect for spring and summer crafting sessions.